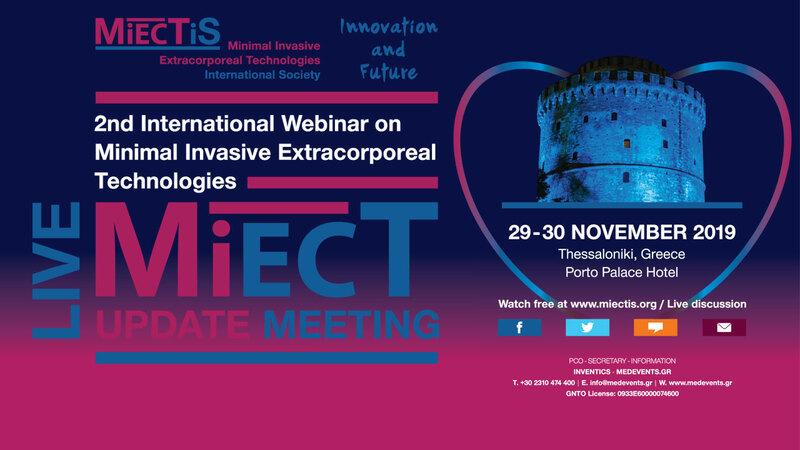 The 2nd MiECT Update Meeting, an Experts Forum Live Meeting – webinar will take place in Thessaloniki Greece, November 29-30, 2019. Twenty-one key opinion leaders from all over the world will participate on-site. Updates on the latest cutting-edge advancements in all fields related to MiECT will be presented. Representatives from the industry will also attend the procedures, make their comments in real-time and take active part in the discussion. 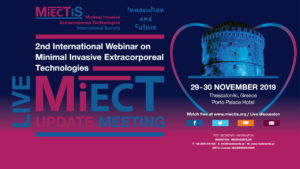 Live attendance (through MiECTiS web-page) will be offered free of charge upon registration to MiECTiS. Everyone who will attend the meeting online will be able to make live comments and/or send questions through available technology, e-mail, the social media (Facebook, Twitter etc. ), Skype or even through a special mobile app.